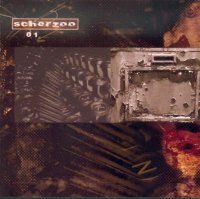 Scherzoo is F. Thollot's 3rd CD, with a new band, featuring Anthony Béard (bass), François Mignot (guitar), Jeremy Van Quackebeke (piano), Guillaume Lagache (sax alto) & François Thollot (drums). This is his most accomplished effort so far, the band plays tight & the music is an unlikely fusion of Zeuhl & late period of Soft Machine. 6 tracks (including a 19 minutes re-written version of "Voyage au bout de la nuit" which was part of Thollot's first CD -in 2002, then recorded alone as a multi instrumentist).